When a customer replies to your SMS messages you might want their replies sent back to a specific medium. If you're on the road or don't want to deal with your email inbox immediately, you may prefer replies to come to your mobile phone. 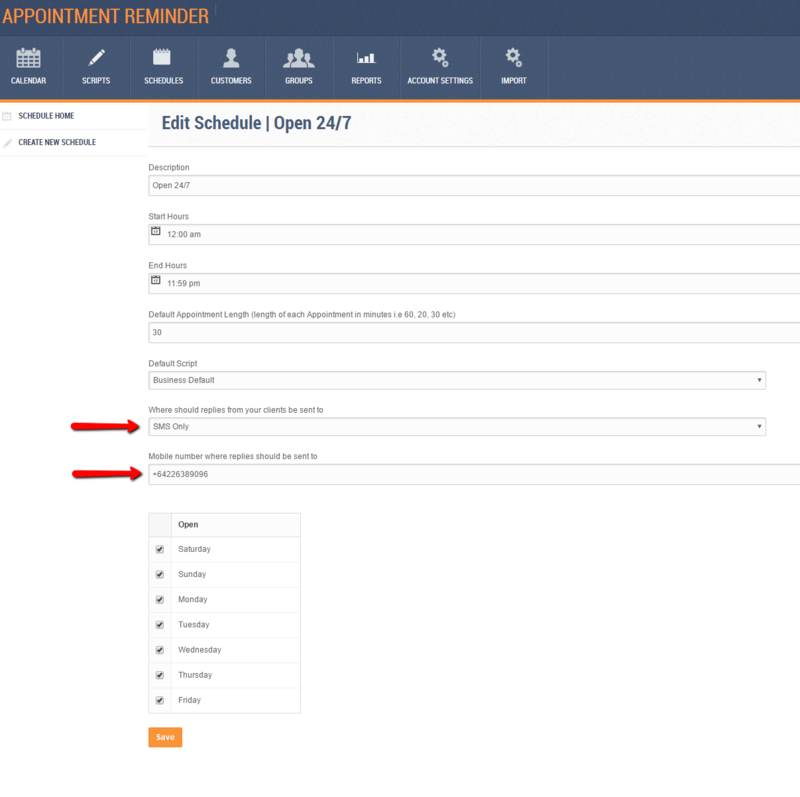 Once you've logged into Appointment Reminder go to Schedules. Then click Edit on the schedule you wish to change. Change the option 'Where should replies from your clients be sent to'. If you have multiple schedules then will need to do this for each schedule.